Yes, you can lose weight while gluten-free. Here's how. Many people who decide to use the gluten-free diet to lose weight do so because they're encouraged by how well it seems to work for others. But how can you make sure the diet will work for you? The truth is, the results you've seen some celebrities get may seem magical, but they're actually not. Instead, those results are the result of careful eating, plenty of exercise—and yes, a diet devoid of wheat and gluten. But it's far from clear which of these factors is the most important, and it may well be that a healthy diet and lots of physical activity turn out to be much more important than eating gluten-free. However, other experts—notably, cardiologist Dr. William Davis, author of Wheat Belly—argue that wheat (and not just the gluten protein in wheat) actually augments your appetite, causing you to eat more. Dr. Davis told me in an interview that wheat contains appetite-stimulating compounds which encourage your body to produce more insulin, a hormone that can cause you to store fat. However, there's no independent research that proves Dr. Davis' claim. How Can Gluten-Free Weight Loss Work Best? In his own practice, Dr. Davis said he has seen people drop an average of about 15 to 20 pounds in a month when they simply eliminate wheat. Yes, your mileage may vary—there's certainly no guarantee you'll see those kinds of results, and despite the positive anecdotal evidence, there hasn't been any published research on this yet to show whether or not it truly works. But the good news is, there are some ways you can try to maximize your results and your gluten-free weight loss efforts. Yes, that gluten-free cake mix looks yummy (and it tastes pretty darn close to the real deal, too). But to really lose weight wheat- and gluten-free, you'll need to steer clear. A few grain-based gluten-free products like snacks, bread, pizza, cookies, and cakes actually have even higher calories (and potentially can provoke an even more vigorous insulin response) than the wheat-based staples they're replacing. In addition, lots of people seem to think that the term "gluten-free" on the label actually means "calorie-free" (er, not so much). Take it from me: Eating more calories just because they're found in gluten-free foods won't help you lose weight... quite the opposite. Count the calories in gluten-free foods, because they count too, just like calories in non-gluten-free foods. Many people do find they drop weight seemingly effortlessly when they go gluten-free... up to a point. That point, says Dr. Davis, seems to come at about 15 to 20 pounds worth of weight loss for many people. The truth is, going gluten-free tends to decrease your cravings and appetite overall (at least after your initial cravings for wheat-based treats have subsided), and a decreased appetite leads to fewer calories consumed. To keep the weight-loss ball rolling, you'll probably need to start counting calories and try to stay within recommendations for your body. This is controversial, but Dr. Davis and other advocates of a wheat- and gluten-free diet for weight loss believe that a low-carb diet is best for weight loss. It isn't just the wheat-based carbs that stimulate insulin production and make you hungry, the theory goes—it's all the carbs. Dr. Davis advocates limiting high-carb foods like legumes and fruits and entirely eliminating gluten-free grain-based foods like cereals and bread, most snack foods (like gluten-free potato chips) and foods containing high-fructose corn syrup. Keep in mind that the jury's still out on the Paleo diet—other experts warn that you'll be passing up valuable vitamins, fiber, and other nutrients if you skimp on foods like fruit, beans, and whole grain rice. However, it's possible to mind your nutritional needs and follow a low-carb, gluten-free diet ... if you're careful. Make your carbs count. Lots of people think they're gluten-free when they're really not (gluten hides in many places you wouldn't suspect), and in some people, anecdotal evidence indicates even small amounts of wheat and gluten appear to curb weight loss when they're consumed on a regular basis. There's been no research on this (there's very little research available on gluten-free weight loss in general), but if you're serious about trying to lose weight gluten-free, you may want to consider trying to eliminate all the wheat and gluten — otherwise, Dr. Davis warns, you may not completely stop the insulin response that keeps you from dropping the pounds. This could be the most important tip of all. Cutting the wheat and the gluten may help you lose weight more easily, but if you really want to accelerate your efforts, you're going to need to break a sweat. Exercise can help you build more muscle and lose fat... and muscle burns more calories, helping you lose even more fat. Don't view your new gluten-free diet as a replacement for hitting the gym—make sure you make time for some healthy physical activities. Yes, going wheat-free/gluten-free may help to jump-start your weight loss efforts. But it's no magic bullet—to get the best results possible (and the body you want), you'll need to put in more work (probably quite a bit more work) than simply looking for the words "gluten-free" on a bag of cookies. 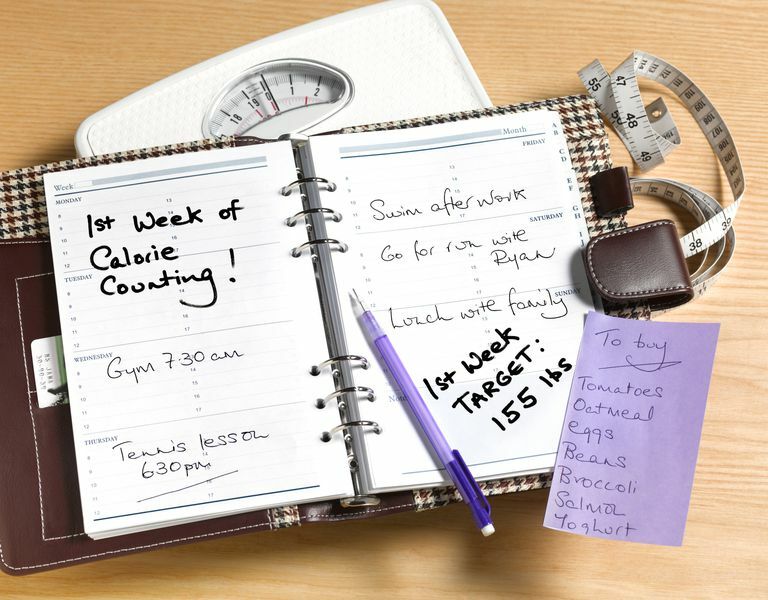 Incorporate some good exercise and a little bit of calorie-counting, and you should be on your way to success.